 This was extremely apparent when discussing business ethics with Steve Mitchell and Kassie Jorgenson, the Bank President and the Chief Operating Officer. Steve and Kassie did not work together until Arbor Bank but alongside one another have created a company culture that contrasts what many would assume could exist and succeed in a bank. The focus on empowering employees to make the right decisions is one of its biggest highlights. Additionally, the company has an impressive track record of providing support to clients and employees going through difficult situations; many other banks or employers would consider Arbor Bank’s actions to be out of the scope of their work if faced with similar circumstances. These actions in turn have produced loyal employees and lifelong customers. Both Steve and Kassie received their bachelor degrees at the University of Nebraska-Lincoln College of Business Administration. Steve started banking in 1992. He moved to Arizona for 10 years before returning to Nebraska. He has a wide range of experience, from working in large regional banks to starting up a new bank. Kassie started her career as a CPA at Arthur Andersen’s Omaha office. The timing collided with the notorious Enron scandal and Arthur Andersen was Enron’s auditor, a complicit member of the iconic scandal. Kassie worked in audit but did not work on the Enron audit while at Arthur Andersen; however, this impacted her view on business and ethical decision-making early on. She started at Arbor Bank three years before Steve. How do you instill ethics in your organization?  What does “ethics” mean to you as Omaha business leaders? With 90 percent of the bank’s customers located in Nebraska, it is apparent that Arbor Bank’s strong values and integrity in their work helps maintain a positive reputation in the local area. Steve and Kassie believe that if you have an organization built on strong values, profits will follow no matter what. Structuring it the other way will only lead to a short-term gain; therefore, the focus must always be building the culture and instilling values. Can you describe an ethical situation in your career and how you handled it? A tornado came through Oakland, Iowa a couple years back, where Arbor Bank has a branch. The bank did not experience damage; however, many of its employees had damage to their houses. The bank leadership made the ethical decision to close the branch for the day, risking potential profit loss, in order to give employees time needed to clean up and repair. Steve along with other branch employees traveled to Oakland to assist in the efforts. Additionally, Arbor Bank had a longtime customer face a fraud issue. The bank quickly moved to help him retain almost all the money by having a special team formed and contacted all the related banks to recover the money back. The FBI shared with Arbor Bank that they have never had this much of a recovery in similar situations and they commended their team on their quick response and action. Protecting customer’s assets and the bank’s assets in an ethical manner is their main priority. What are the ethical challenges and opportunities (ethical issues) you see in the business world today? Steve shared his sentiments on what he sees as both a potential ethical threat and opportunity facing the business world today: millennials not telling the whole truth due to the pressure to succeed throughout their childhoods. Steve has seen this when young professionals are working on projects or in a particular situation and want to succeed so much that they might stretch the truth. Instead, he recommends not to fear failure and to ask for help every time over making an unethical decision on the whim to cover up the lie or over-exaggeration of experience. He also recommends selecting an organization to work for wisely to avoid ending up in a company where ethics are not top of mind and professionals are not provided resources needed to succeed. Additionally, both Steve and Kassie emphasize the importance of mentors and networking in order to establish a good ethical lens early on.